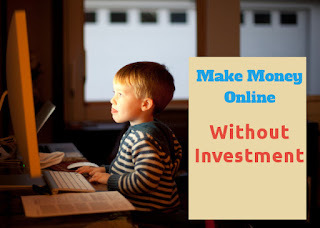 Making money through Online is possible and many people are doing full time job Online but isn't too much easy and you can't earn $1 for a day if you don't know the appropriate guideline and if you don't have any skill. Not only for empty investment, though you have much investment to make money you can't do. Why? Honestly, I am saying, If you search on Google about "How to Make Money Online" you will get a lot of search results and most of them are either scams or time lost. When I know it is possible to earn or generate revenues from INTERNET, I was misguided by a lot of Website. They recommend you greedy and simple job like "You can earn thousand dollar per month by just clicking on ads daily" I mean PTC (Paid to Click), "You can make 500 USD per month by just doing survey", "You can make 200 USD per month by just solving captcha" etc. Even I found some apps on Playstore, that promote their apps to us by promising they would pay much money if I install unauthorized apps once by once and do works like subscribe different Youtube Channel, Like Facebook page, see full video etc. When you will complete their tasks, you won't be paid. By chance, if you be paid, the amount would be too low, that you couldn't pay your data connection cost. After all, you will lose your valued time and efforts. Whatever, I will show you the best and legit ways to make money online without any investment but you can invest somewhere to get more revenues and it will depends on your target and income. Freelancing marketplace is the best way to make money online and build your online career. You can take it full time job. Because it will learn you how to handle clients, projects what will help you to understand the job and its responsibility, enrich your portfolio so that you can succeed in real life job. Even you will get opportunity to start up your own servicing business online successfully. So take it seriously. A lot of jobs are waiting in freelancing marketplaces like Upwork, Freelancer, Toptal, Craigslists, 99designs, Peopleperhour etc. for you if you are skilled on this. Different kind of jobs are available: Writing articles, Email marketing, Graphics design, Web Design, Web Developement, Software development, SEO, SEM, Video making, audio mixer etc. Choose one of them. If you don't have much skill, you may trained from Google, Youtube, Udemy etc. where they offer free online course. Before applying job in freelancing marketplace complete your profile and choose one freelancing marketplace first and invest your time on it. If you be fail to get job then try in another freelancing marketplace, enrich your own portfolio, offer the buyers. If you don't like to bid on tasks, and want to get job fast then Fiverr would be the right choice for you. You don't need to bid, just create a gigs manually. Gigs mean a service you want to do for a fixed price. The price of gig can fixed from 5 USD to 500 USD. You should create an excellent, attractive with video, photo gig. On Fiverr you can sell anything services. If writing and learning from INTERNET be your passion, then blogging would be your the best choice. It promotes you and your skills. Beside branding you among the audiences over the world, you can be successful person on your career by blogging. There have many effective and attractive ways to make money from blogging. For why many of bloggers have been taken blogging as full time job. They generate revenue from blogging by displaying advertisement, selling digital products, affiliate marketing, publishing sponsored posts. They also be paid for reviews on their blog. You can check 5 ways to make money from Blogging. Probably you may know it is possible to make money by uploading videos on your own created Youtube Channel. But you must have a Youtube channel that has at least 10K video views. Then you have to apply for Google AdSense to display ads on your Youtube channel. You can't upload a video that is copyrighted. You must be agreed with the Youtube content Policy. Youtube is another place where you can brand your company and yourself. Are you good in photography? The you can easily make money by selling photos on different but popular photo marketplace like Fotolia, Alamy, Shutterstock, Dreamstime, iStockphoto. These was special road-map to succeed to make money through Online without investment. I assure, you can do it properly. If you face any problem, search with mention on Google, Youtube. And you can share here. Start your first EARNINGS ! 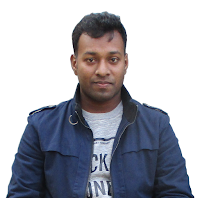 Hi, I am Elliyas Ahmed, the founder of COMPROMATH. I try to share what I learn. Don't try SPAMMING here! Submit your Feedback, Questions or Comment related to this Article. Read our Comment Policy. COMPROMATH provides Web Services and Guides to boost your business online. Our 50+ clients (US, UK, Canada, Finland, Spain based) recommend our services highly. Daily & Regular blog readers are getting professional help without any FEE.